Our brains are an integral part of our day to day functioning. The rates of cognitive impairment, dementia, undiagnosed concussions, daytime fatigue and other neurological diseases are rising. By 2031, dementia rates are projected to increase to around 1 million people — a 66 percent increase from 2018. During this talk, we will present research and information on optimizing stress and the benefits of adding certain herbal medicines to your daily routine. The talk will focus on single herbs, formulations of herbs, foods, and natural nootropics to optimize brain health. Be prepared for an interactive discussion in which you will leave with a blueprint on the time tested methods of herbal medicine which may help you stay mentally even-keeled and alert. Mason is a Medical Consultant for St Francis Herb Farm. 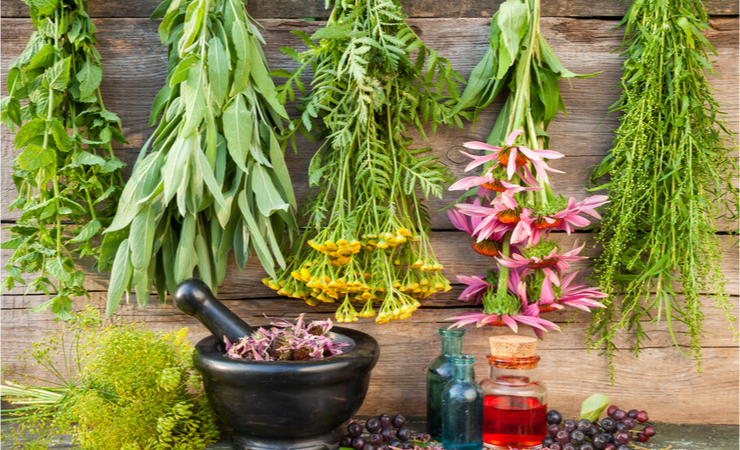 He has a wide array of academic, clinical and personal experiences with botanical medicine. Mason grew up next to an herb farm in small town in Southern Ontario creating an innate curiosity and connection from the beginning. Mason’s paradigm on healing fits within a vitalistic perspective allowing Mason to assist others on their healing journey with botanical medicines or earth medicines as he likes to refer to them as. Mason continues to advance his knowledge in all areas of botanical medicine (research, plant spirit medicine, harvesting & formulation).